Millions of Ticketmaster customers should be receiving a cash payment or discounts on future ticket purchases now that the company's corporate parent, Live Nation Entertainment, has agreed to settle a class-action lawsuit over allegedly deceptive online service and delivery fees. Although the amount of the refunds or discounts, as well as the number of customers eligible for them were not disclosed, the class action covers all online Ticketmaster purchases made by U.S. residents between October 1999 and May 2010. 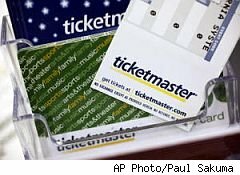 Ticketmaster sold more than 95 million tickets via its website in 2002 alone, and the company has set aside more than $20 million to settle the suit.As Consumer Allyreported in October, the 2003 class-action suit challenged Ticketmaster's "Order Processing Fee" and the fee it charged customers who opted for UPS delivery on its website, costs that often amounted to more than $20. According to the complaint, Ticketmaster's Order Processing Fee is "deceptive and leads consumers to believe that it represents Ticketmaster's costs to process their orders, and that the Order Processing Fee is [in fact] just a profit component for Ticketmaster, unrelated to the costs of processing the orders." A second claim involves Ticketmaster customers who paid for UPS Delivery of their tickets, which it also says is deceptive because Ticketmaster "substantially marks-up the amount it actually pays to UPS." Although Live Nation did not issue a press release about it, the settlement was divulged in a Jan. 26 report filed with the U.S. Securities and Exchange Commission. According to the SEC filing, the company decided to settle the suit "in an effort to eliminate the financial uncertainties and future expense of protracted litigation." As a result, the company announced a one-time charge of $22.3 million to cover the cost of the settlement. According to the filing, Ticketmaster will pay a number of legal fees, including those of the claims administrator, the plaintiffs' attorneys and certain court-approved costs. Additionally, "class members who meet certain conditions will be entitled to receive from Ticketmaster a cash payment and/or discounts off one or more future ticket purchases." The company also made a vague promise in the filing to address charges that it failed to disclose the true nature of the processing and delivery fees, saying "Ticketmaster will also make certain changes to disclosures on its website." Neither Ticketmaster nor Live Nation acknowledged any wrongdoing. A Live Nation spokesman said the company is not commenting beyond what's in the SEC filing. The settlement remains subject to approval by the court, which Live Nation expects to occur in late February. In related news, the Los Angles Times reports that Live Nation is suing its insurance company for refusing to cover more than $4 million in legal expenses related to the class-action suit. The insurer, Illinois Union, denied coverage because is said the lawsuit was based on ill-gotten profits, a charge that Ticketmaster called "despicable." Ticketmaster's no stranger to controversy over high ticket prices and what many see as its near-monopoly on the concert ticket market -- market dominance that only increased following its merger with Live Nation. In February 2010, TicketMaster settled charges by the Federal Trade Commission that it duped fans with bait-and-switch tactics that tricked more than 1,000 of its customers into paying double, triple and even quadruple the face value of Bruce Springsteen tickets. The FTC mailed refund forms to the hoodwinked Springsteen fans last September.